Support is an important thing to consider when deciding whether to use the framework as the base for your web site or not. Support includes well written documentation, webinars, community forums and (optionally) commercial support services, like trainings and certification programs. Documentation. Documentation for Zend Framework is located by this address. It includes beginner's tutorials and programmers manual. API Reference can be found by this link. Community Forum. You can ask a question about using Zend Framework 3 at StackOverflow. Your questions will be answered by the large community of ZF3 developers like you. Webinars are video tutorials covering various Zend Framework features. Complete list of webinars can be found by this link. Training Classes with live instructors can be accessed by this link. 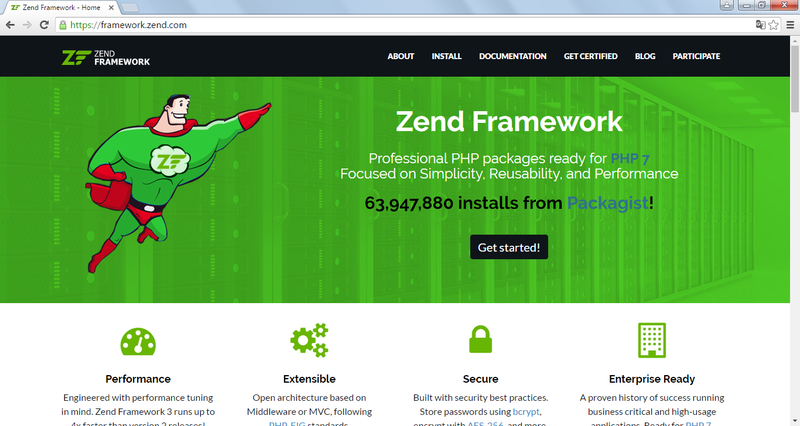 Here you can learn Zend Framework by doing exercises, mini-projects and developing real code. Certification Program. Allows you to become a Zend Certified Engineer (ZCE), thus making it easier to improve your skills as an architect and to find a job in a competitive PHP job market. Certifications can be found here. Want some more ZF3 resources? Check out this awesome list of Zend Framework resources.